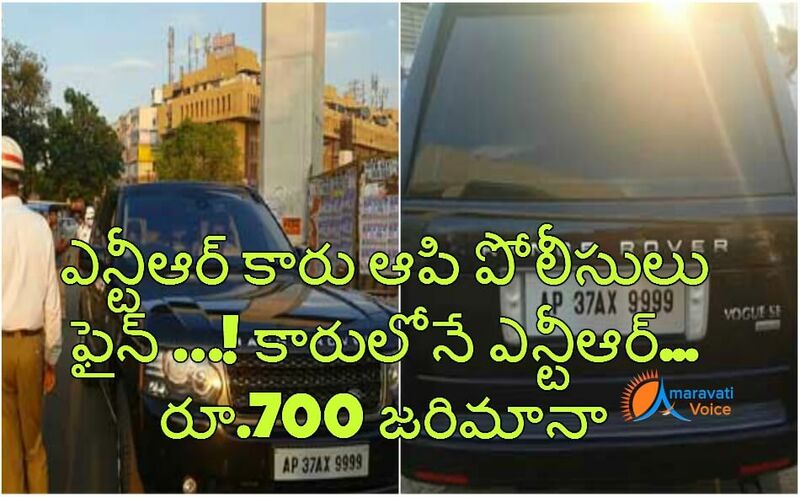 Hyderabad Traffic Police has imposed Rs.700 fine to Cine Star Junior NTR's Car. Hyderabad City Police is running a special drive near Ameerpet today evening. At that point of time, NTR's Range Rover with car number AP 37 AX 9999 is going towards Saaradhi Studios. Police has stopped the car, as it has a black film on the windows of the car. Police has asked to remove the black film and imposed Rs.700 fine to NTR.